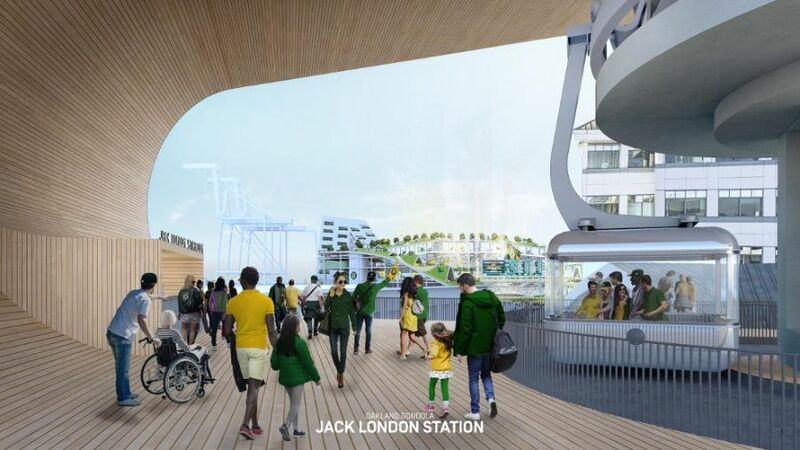 Gondola would offer a viable transportation solution to our new ballpark at Howard Terminal. 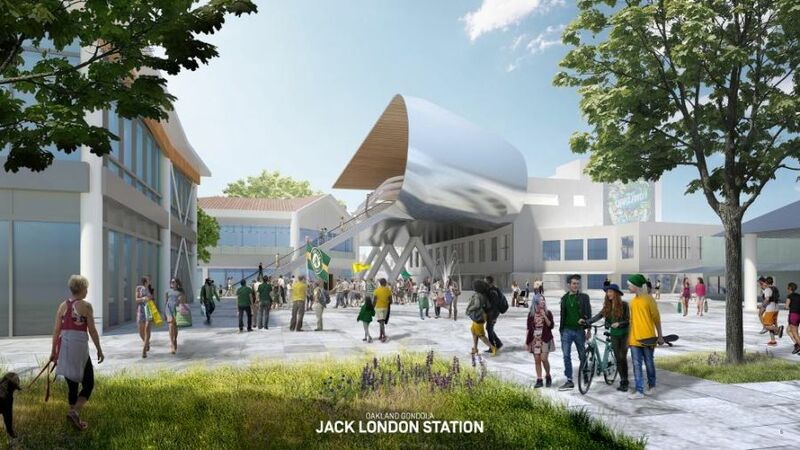 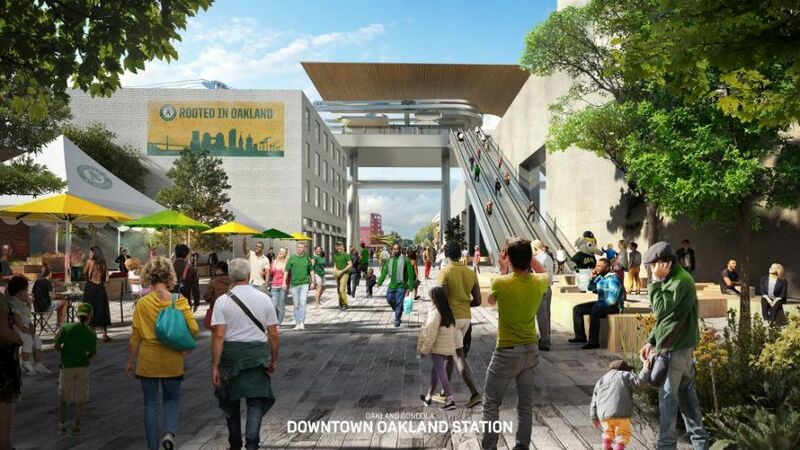 The route would take fans from near the Oakland Convention Center/12th Street BART Station to Water Street at Jack London Square. 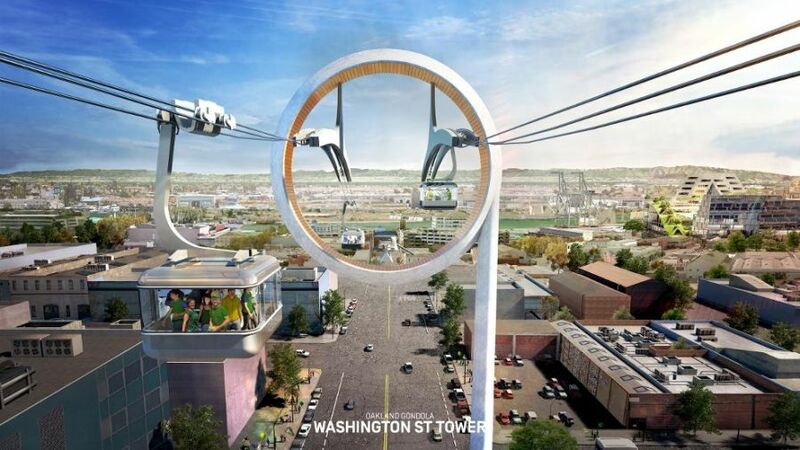 The ride is approximately three minutes and can move 6,000 individuals per hour per direction. 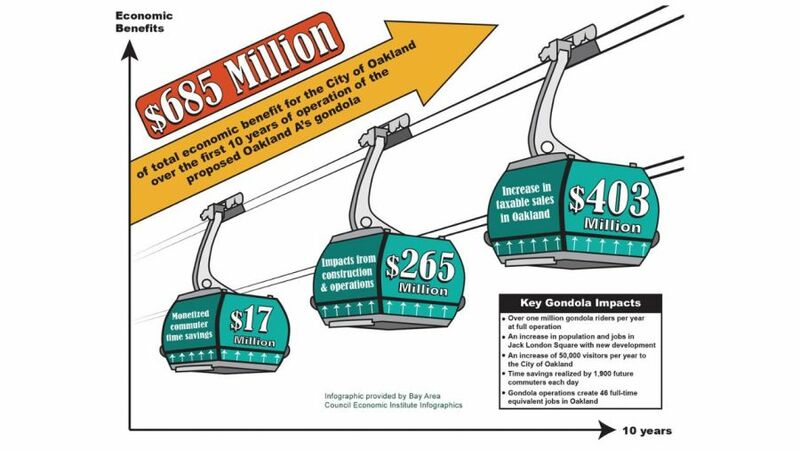 The gondola system will be a zero-emission transit line.